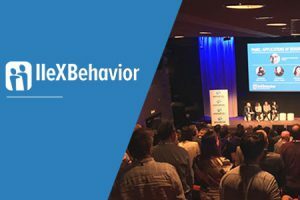 Members of our Chicago team spent two days at IIeX Behavior, an industry conference for researchers and marketers alike. The conference sets out to help attendees better understand, measure, and predict consumer behavior through behavioral science techniques and technologies. It wasn’t all green smoothies, virtual reality and semiotics – so what were three big themes we took away from the event? 1. System 3 and contextual behavior. People interact with their world in very different ways. We’re dependent upon various social, emotional, psychological, and cognitive states and brands need to be aware of that. Leigh Caldwell at the Irrational Agency, spoke about System 3 thinking. We’re all familiar with System 1 and System 2 thinking, they have been framed as a dichotomy that influences our decision making. And here is where System 3 enters. System 3 refers to the way that our brains imagine future events, think through hypotheticals and imagine new things. Understanding this System is particularly important for innovation folks and marketers seeking to make an impact. 2. Overcoming barriers and driving change within an organization. Putting the consumer first and the adoption of behavioral science-based research can still be a challenge internally. The key is to keep long-term growth in mind, not just short-term metrics. Jason Chebib from Diageo, Lauren Kemp of McDonald’s and David Burgos from Kraft Heinz shared their experiences applying behavioral science in their research. They discussed transforming research insights into business strategy and profitable growth for their organizations. One of the challenges they face? They’re often constrained by internal stakeholders’ demand for quantifiable metrics, and can lose sight of the big picture of human behavior. The group emphasized the need to ‘keep your eyes on the prize’ for long-term growth, rather than a short-term spurt in metrics. 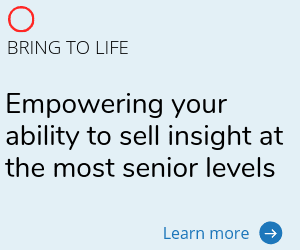 Terrae Schroeder from Kellogg and Alex Hunt from PRS IN VIVO, even presented “Overcoming Barriers to Behavioral Science Adoption within Corporate Organizations” to provide a helpful framework for internal early adopters. We see this often with our clients and partner with them to help them overcome these barriers. 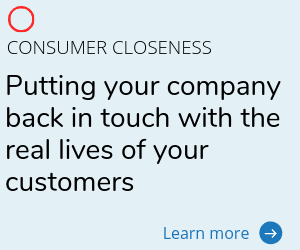 Check out our webinar Driving Change and Empathy at PepsiCo. 3. 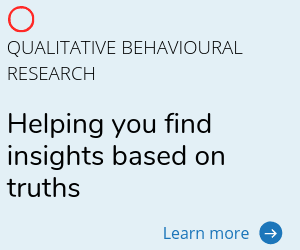 Qualitative research has to re-prioritize real behavior over what people merely say that they do. Understanding the value of observation and deeper insights is crucial. Behavioral science tells us there’s claimed behavior (what people say) and observed behavior (what people do). Everybody Lies. One example of this was Rachel Katz from Pepsi and Dr. Namika Sagara from Ipsos. They presented on whether the coloring of added flavor shots to their sodas mattered to consumers. Their study, done quantitatively and with a qualitative follow-up, demonstrated that while consumers might say they want to reduce artificial colors in their diets, their actual behavior says differently. Another example? Our very own Director of Research – Americas, Amanda Pizarek, gave a workshop “Video Made Easy – Tools to Identify Actual Behavior and Bring Consumers to Life.” She showed workshop participants how to use video effectively in their market research by observing real behavior, in a natural environment, without moderators. These were just a few of the many takeaways from IIeX Behavior. Whether we call it behavioral science, behavioral economics, or good ol’ market research, we’re all trying to uncover real human behavior. "In 5 years time, we want to have ceased relying on claimed data and stopped asking any direct questions to gain insights."